My wife has been a type 1 diabetic for 20 years, and I worry about her because she does not always take her insulin. She is trim and seems fine but how can it be OK to skip taking your insulin? If your wife is on a CGM and is skipping her insulin because she does not take that much insulin, on a low carb diet and is seeing her blood sugar trending down; her healthcare professional team would recommend adjusting her insulin; even if this means, no insulin to avoid hypoglycemia. The purpose of insulin is to maintain normal blood sugars and prevent hypoglycemia. High blood sugars for extended periods of time will result in a higher A1C with corresponding complications; blindness, kidney failure, heart failure and nerve pain. Science also suggests that Type 1’s with high blood sugar are more likely to suffer from depression. When you are depressed, your ability to cope with the stress of a chronic condition is challenging at best. Women with type 1 diabetes who omit taking their insulin to lower their blood sugars after eating would be evaluated by a healthcare professional as an at-risk patient who may have an eating disorder. Insulin is a growth hormone. If your wife eats and does not take her insulin dosage to normalize her blood sugar , then it could be her way of controlling her weight. Insulin converts sugar into energy for fuel. If the conversion is not made, then the body will turn to fat for energy as fuel. Not taking insulin can put a person’s blood sugars at a critical level causing ketoacidosis. I don’t mean to scare you with this information, the National Eating Disorders organization reports, ED type 1 women who restricted their insulin, experience a higher death rate, cutting off 13 years from their life compared to Type 1 women who do not have an eating disorder. Your wife is lucky to have a husband that takes notice of her routine. Not taking insulin when you need it is not “OK”. Maybe you can start a gentle conversation about the consequences of omitting insulin. Help her find a support group so she can be honest with herself and have a support group that is coping with the same issue. It could be that your wife knows what she is doing and is counting on staying under the radar, hoping you do not take notice or connect the dots. Diabetes Sisters is an online community where I met two women who have eating disorders and have nonprofits for women living with diabetes. Read the two articles below and reach out to these women as a concerned spouse and ask them about how to approach your wife on such a delicate matter. Let us know what happens. The Diabetes Health community and I are here for you. Nadia has received 19 nominations for her work as a diabetes advocate. She has been featured on ABC, NBC, CBS, and other major cable networks. 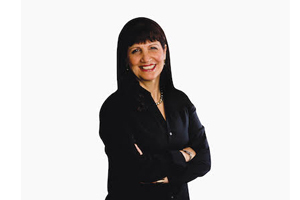 Her publications, medical supply business, and website have been cited, recognized and published in the San Francisco Chronicle, The Wall Street Journal, Ann Landers advice column, former Chrysler chairman Lee Iacocca, Entrepreneur magazine, Houston News, Phili.com, Brand Week, Drug Topics, and many other media outlets.